My sourdough starter is almost one year old! I want to transport it to a friend but did not want to have to feed it during my journey. I had read that you can dry it and reconstitute it. I googled how to do it but its mad simple. If your starter is really thick, just thin it out with extra water. 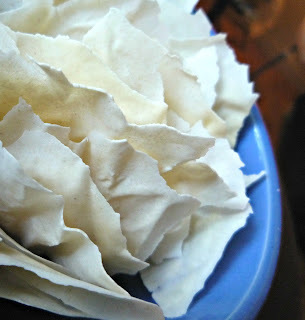 Then spread it out on some parchment paper. It will dry in a day or two. Break it up. I then crushed it in a mortar and pestle. It's supposed to stay viable for years, which is kinda cool. I'll update you when I reconstitute it!